Dinner: Monday - Sunday: 5:00pm - 11:00pm. A late night menu is served from 11:00 pm to 5:00 am. Valet parking is available at the Wynn main gate or South gate entrances. Enclosed self-parking is only steps away, using the Wynn self-park garage located off Las Vegas Boulevard. As of July 1, both self-parking and valet parking will be included in the existing resort fee for Wynn and Encore hotel guests. For non-hotel guests and local residents, self-parking and valet parking will be validated once per day, per vehicle, with receipt of any $50 spend at Wynn or Encore. Deuce Bus and Express Bus stops are conveniently located outside the Wynn main gate on Las Vegas Boulevard. This lively and theatrical space is the perfect place to see and be seen, a stellar location for celebrating a milestone or special event. Cream colored, curving banquettes, dramatic red seating and romantic lighting create a stylish and comfortable atmosphere. The main dining room can accommodate up to 150 on multiple tables for a complete, exclusive buy-out of the space. Just adjacent to the main dining room, the reserved group dining area offers the same ambience as the larger space and can accommodate from 50 to 70 guests. Although no walls define the space, it is visually separated by a low bank of seating, allowing guests to easily mingle with one another while still experiencing the action of the main dining room. Allegro is conveniently located near the Wynn self-park entrance and is just steps from the Wynn and Encore Theatres, the show ticket office, race and sports book and the poker room. Dinner is served nightly, and a late night menu is offered into the wee hours. At the stylish Allegro, chef Enzo Febbraro brings a lively new approach to classic Italian-American cooking, merging old world tradition and new world innovation to perfect effect. Located at the cornerstone of Wynn's Theatre Row, this bustling modern trattoria features a wood oven hearth, convivial bar and lounge and ideal proximity for dining before or after the show. 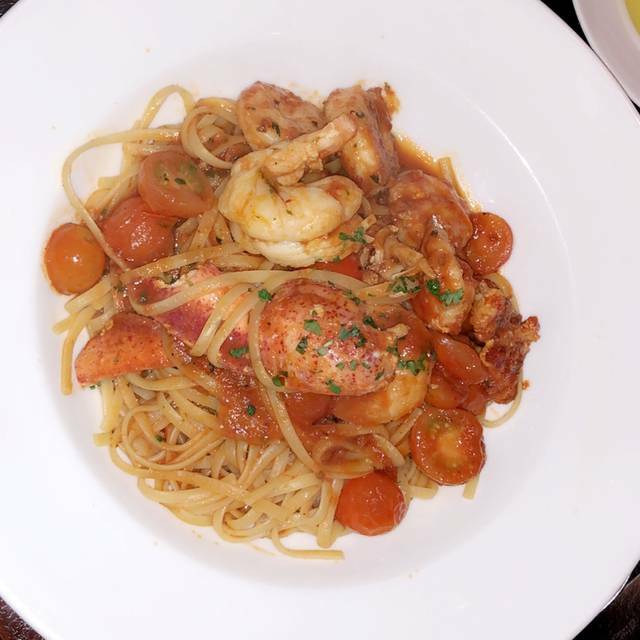 The Naples born chef has crafted an ingredient driven menu that salutes Italian cooking in a very approachable way, focusing on dishes with flavor and tradition, as well as timeless favorites. 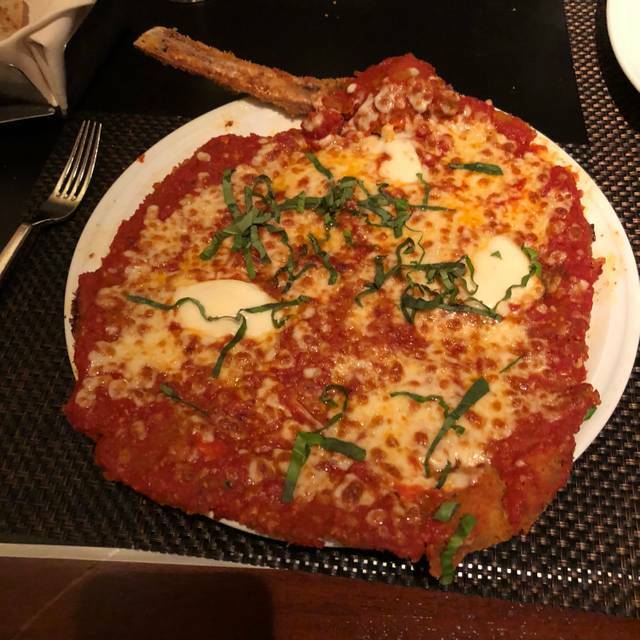 The bill of fare offers the comfort and familiarity of such dishes as veal chop Parmigiano, osso buco d'Agnello, chicken Francaise and baked lasagna Napoletana. By turns elegant yet rustic, Allegro provides an exuberant chef with a theatrical stage from which to cook up his own delicious Italian aria. and was highly skilled. Would go back again. 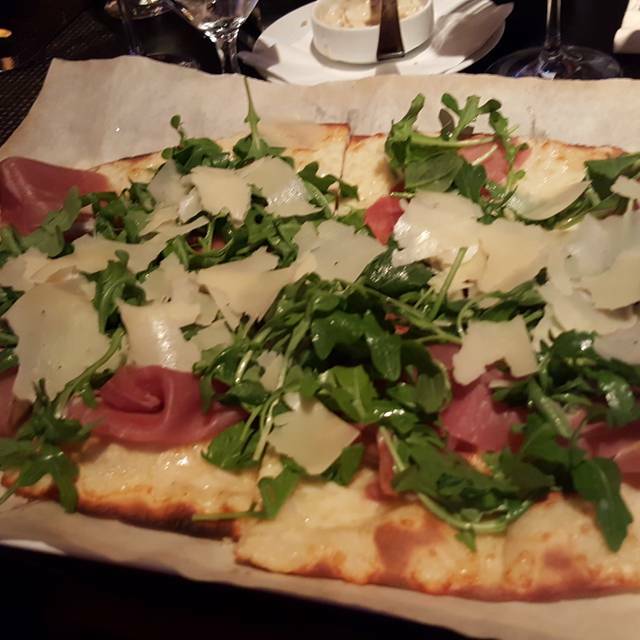 Portions are large and great for sharing. The food was very good. Actually I thought the portions were too large. Staying at a hotel, you can’t take a ‘doggie bag’. My wife and I dine here at least once when we visit the Wynn. The food is always great. I ordered the Osso Bucco and our server, Enrique, recommended the risotto with parmesan and it was fabulous. I highly recommend the Allegro at the Wynn. Our dinner was fabulous! We had the grilled veggies as our appetizer and it was beautiful. We then got lasagna and one of the specials and it was fantastic! Definitely recommend this place! My friend had Chicken Parmigiana and I had Lasagna. Both were excellent. It was the best Lasagna that I have ever had. The service was prompt but not rushed. Excellent food and wine choices. 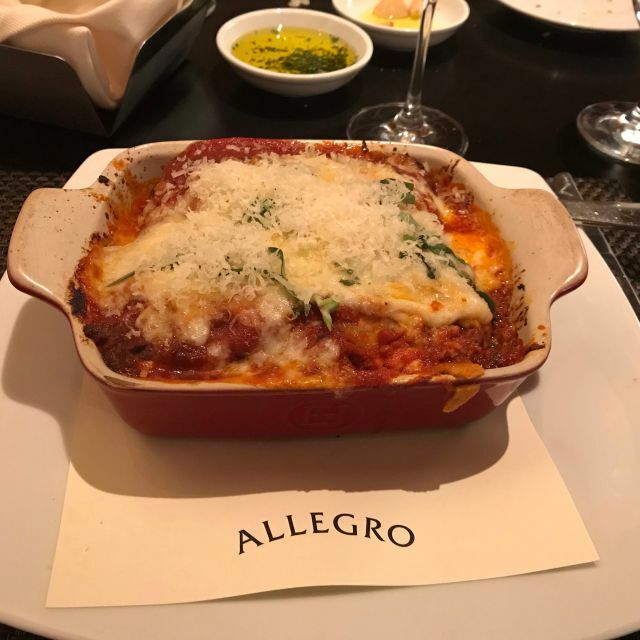 If you haven’t dined at Allegro inside the Wynn Hotel you haven’t experienced Just how good Italian food can be. 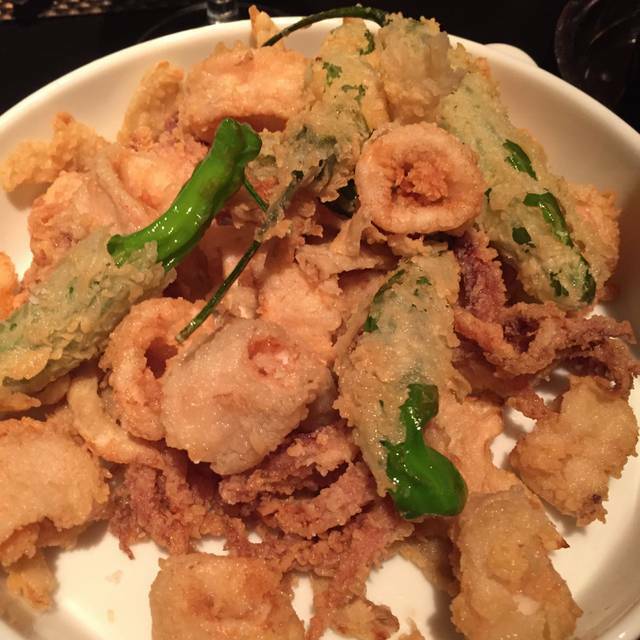 What an incredible array of original flavors, Accompanied by warm hospitable service at the highest level. 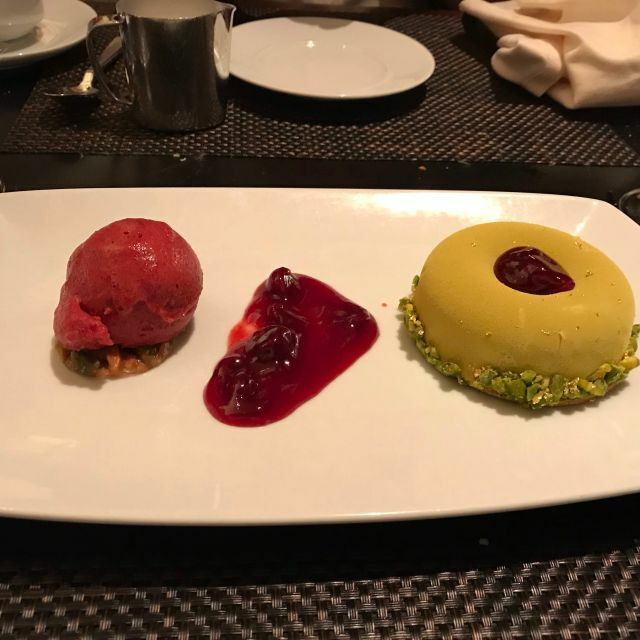 Chef Enzo and his team are culinary magicians. Decent restaurant. Food was a little cold but fresh. Enjoyed the wine list - extensive and delicious. Service was good but we had to ask for a dessert menu and the waiter said "everyone was passing on it tonight so I didn't even think to bring it" -- was a bit odd. I would come back but it is not the best restaurant in the Wynn. 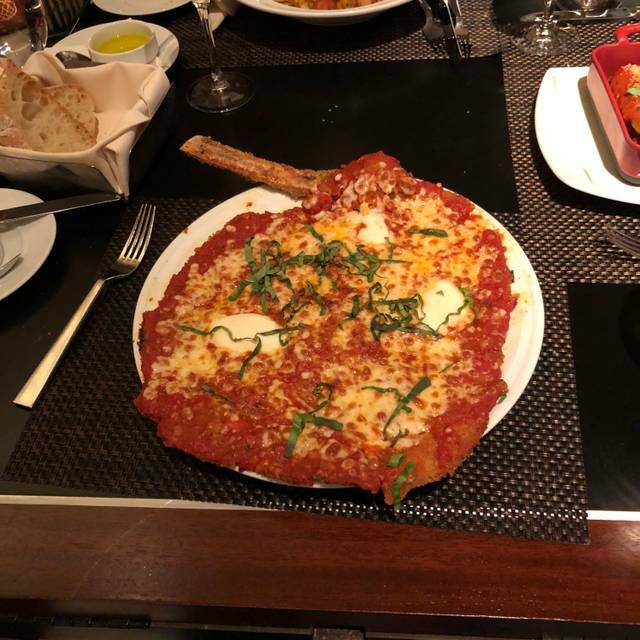 The food was incredible here, I go to a lot of high end restaurants in Vegas this is my second favorite Italian restaurant. Very good food and very good service I would highly recommend this place. I will certenatly go back when I will be back in town. Very nice menu, food prepared in view of the dining room. Everyone loved their dinners! The food and service was phenomenal. The vegan cannelloni, Brussels sprout salad, and arugula salad were fantastic. Our server Mary was attentive and friendly. The restaurant had an open kitchen. We were very impressed with Allegro. It’s a bit pricey but worth every penny! My husband is an omnivore, and I am vegan. It's so hard for us to find restaurants that both of us really like. My husband ordered the margherita pizza, and I had the vegan "chicken" parmagiano. My husband liked the pizza, and I loved my meal. The atmosphere is nice. It's a good balance of great customer care and a somewhat less formal environment. I highly recommend this place for omnivores and vegans alike! Ok for casino environment, not for special event. Hostess not pleasant. Sat me at a table twice in unacceptable areas when better tables for a person of one might enjoy. Why seat me in the middle of the floor to be looked at as fist selection, second in middle of groups talking. When I selected a better seat I preferred, she said fine and left me to seat myself. OK! The service was great but the food could have been better, especially at those prices. The buratta was excellent but the boar ragu and lasagna were just ok. The ragu was bland and the lasagna was almost cheese-less. Excellent flatbread and wine!! Pretty decor! We will return. My husband and I had a great meal. Our waitress was very friendly and we would definitely eat there again! The dinner was perfect for what we wanted, good food at a reasonable price without a lot of fanfare. Great all around experience with outstanding good & solid service. Definitely will return next time in Vegas. Beautiful meal before Robbie Williams concert at Wynn Fri 15th March. Service and knowledge was outstanding. Best Lasagne ever and Tiramisu one of the best I’ve tasted. Its a bit pricey for the basic food but its the norm for vegas now. Prompt and very courteous service (host and waitstaff). Excellent antipasti board. lasagna and pasta with meatballs very simple and average. Wines was ok but $21 for a glass of decent Merlot was a shocker. Dining room is open to walkway but it wasn't terrible. Nice furniture and lighting. rows between tables were narrow. Theres no way a wheelchair could fit and even walking it was tight. try not to sit a t tables there as its too trafficky and annoying. $155 for 2 with tip. One app, 2 entree, 1 wine glass. Fantastic pacing. Great recommendations from the staff. Impeccable service, charming atmosphere, food was well prepared, serving if the food was quick and all in attendance enjoyed the ambience. Very much worth a visit. 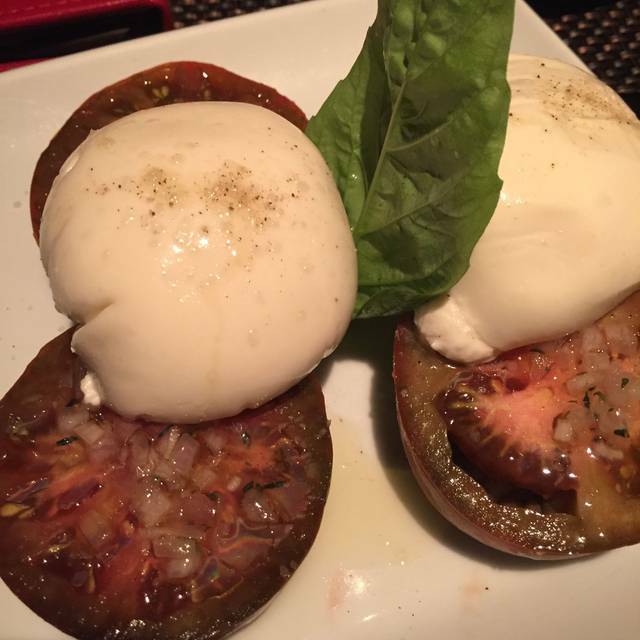 situated on the Casino floor, a good choice of Italian foods and some great appetizers. everything was great. only complaint was being seated in the center isle way with a party going on behind us. traffic was non-stop on both sides of our table. next time will request seating against the outside wall , next to the kitchen or in the bar area. again, the food and service was outstanding as always. All was very good! However, shocked when the waiter said it would be a $50.00 corkage charge for a bottle of wine we got for a birthday gift! Ridiculous!! !not even the finest 5 star restaurants charge more than $25.00 corkage! Very disappointed!!! The food was amazing. Our waiter was very attentive and very helpful with recommendations, he even brought us a special Anniversary treat. Nice ambiance. Average Italian food for inflated prices. Okay service. The food and service were excellent !! Great service in a very good location if you are going to a show afterwards and self parking! Food was delicious! Large portions! Great selection and normal type food! Thank you! Great place to eat before a show at the Wynn. The menu was full of great options so it was hard to decide what to order. Our waiter was wonderful. 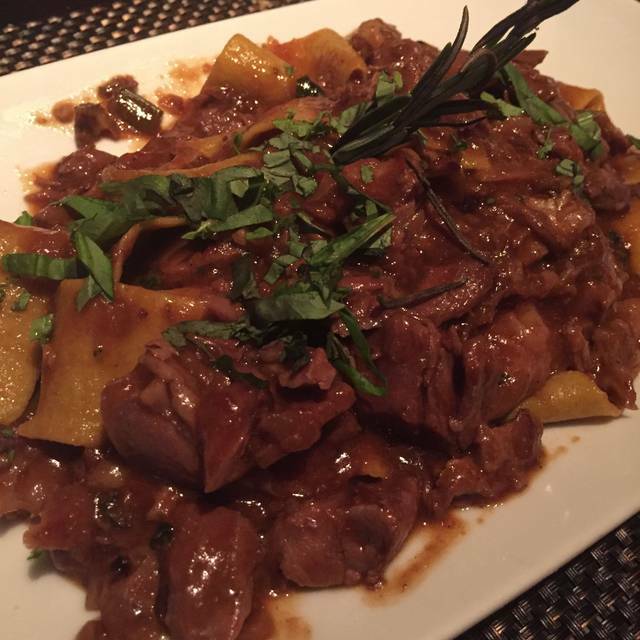 He gave us a wonderful wine recommendation to pair with our chosen Pappardelle Wild Boar Ragu. It was so delicious. The desert cannolis were also excellent. We had time so didn't feel rushed but he made sure we were out in time for the show and gave us the remainder of our wine in to go cups to take to the theater. We never would have thought of that!